Torrential rain all weekend in Kaohsiung - time to get busy in the workshop if I'm gonna make it to work on Monday. 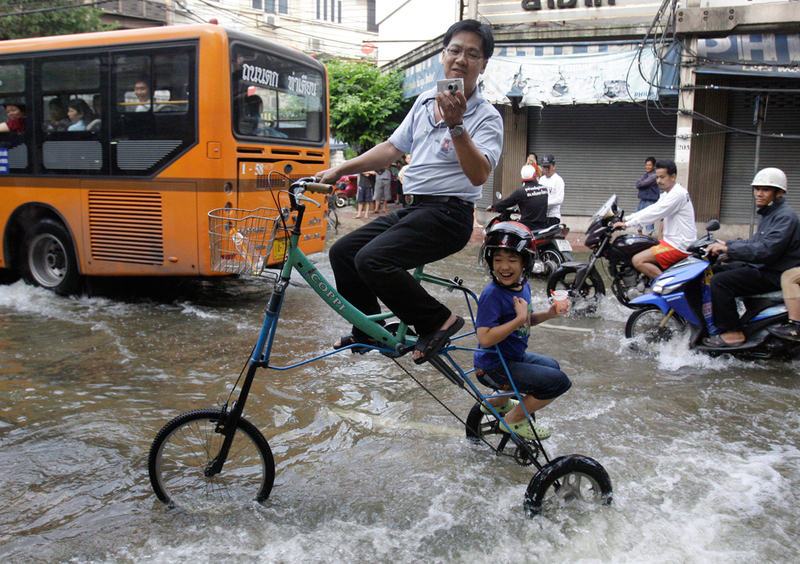 This photo is from Bangkok during the floods last year. Labels: Bangkok, bicycle., floods, Kaohsiung, photos, Taiwan.